OANDA is a reliable forex broker that first began its activities in the financial markets in 1995. As one of the leaders in Forex trading and a trusted source of up-to-date information on currencies, it offers margin trading, settlement services and data provision to a wide range of organizations and investors. The OANDA Forex broker draws its customers in with the most attractive and comfortable conditions for conducting successful trading. 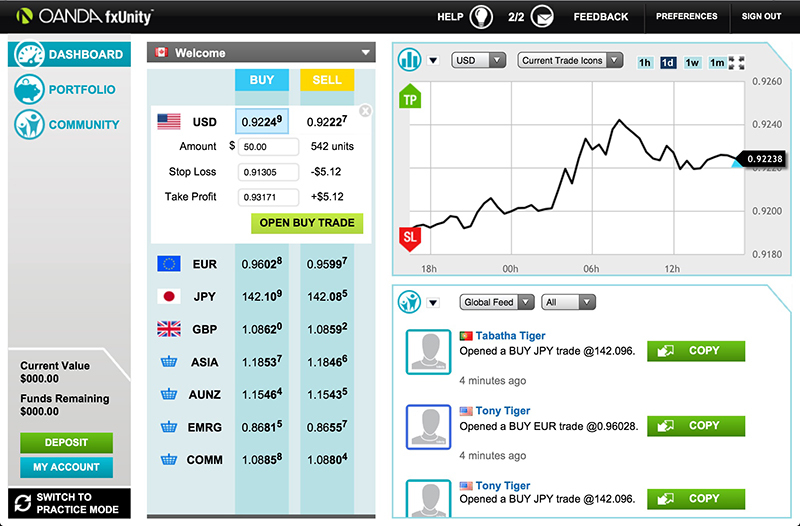 The trader may choose to work on the Meta Trader4 trading platform. 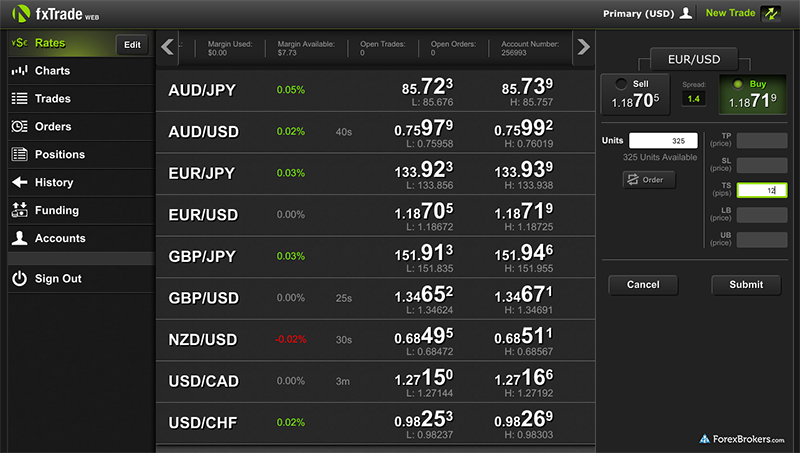 But in addition to that, the company offers its users a development of its own, the fxTrade terminal. It should be noted that both platforms support trading through mobile devices empowered by the most popular operating systems. OANDA guarantees its customers a twenty-four-hour service support available five days a week. At the same time, you can receive assistance and sufficient answers to your questions through various channels (by email, telephone, etc.). The minimum deposit amount set by this broker is $ 1. For this purpose, OANDA is aspecially suitable for the beginners in the forex market. However, on the other hand, there is no educational content in Russian on the company’s website. A few articles and self-study courses in English are all that they have in store for the novices. But on the positive side, the company regularly organizes webinars and seminars for its OANDA clients, but they are also conducted in English only. 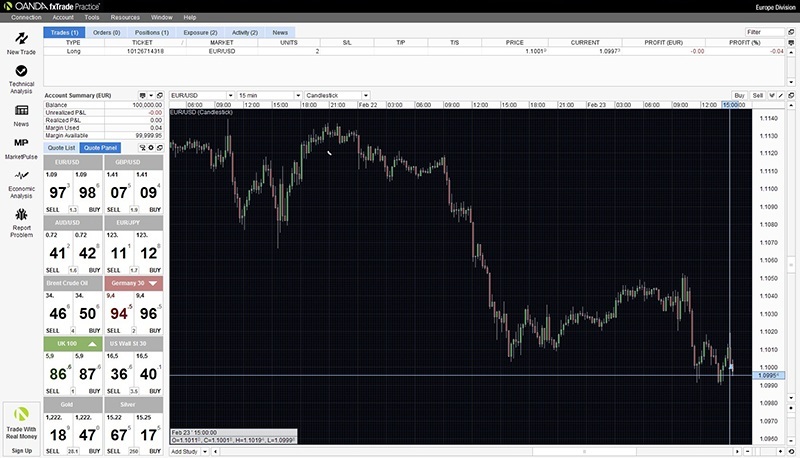 If you wish, you can try your trading skills on a demo account. The maximum credit leveraging with this broker is 1 to 50. OANDA guarantees its users narrow spreads without any hidden charges and instant performance of their transactions. The company shows an extremely transparent and open policy towards its customers. As of trading instruments, you can choose between more than 90 different forex currency pairs, Contracts for Difference, precious metals, commodity assets, world indices, shares of large corporations, etc. Thanks to such a wide range, every trader will be able to create for himself the most versatile and balanced investment portfolio. OANDA shares are available to anyone. OANDA Analytics is offered in English as well. You can find on their website the latest news and market reports from the most experienced analysts. In addition to this, clients of the OANDA broker have the priceless opportunity to take advantage of a wide arsenal of analytical services that can help to obtain unique information for conducting the most successful and profitable transactions. The website features only fresh and relevant OANDA news as well. Unfortunately, OANDA Forex broker does not offer its customers welcome bonus programs or any other bonuses. The company seeks to compensate for this drawback though by favorable trading conditions and quality performance. If you decide to look through the reviews on this broker’s performance or to share your opinion on your own transactions with OANDA, we recommend you to go to the corresponding section on the OANDA website. Here you will also find recommendations of independent traders who will help you make the right choice and get a solid opinion on ​​the quality of OANDA company performance. A reliable broker. This broker is trustworthy. I have an account here for more than 5 years. Of course, there are some minuses, but they are non-essential. The huge plus is a stable and fast work. I'm sure that I can trade 5 days a week a full day, and make money without interruptions. After a couple of months of working with this broker I can say that I’m a lucky man to find him! It’s the best company I’ve ever come across! It’s a pity I had found no information on them earlier. Appreciate good spreads, wonderful support, and good bonuses. Highly recommended. I decided to have a shot in trading here for about a month ago. What can I say now? I like the way developers made an interface so rich in different options and applications. I can quickly accesss my account by phone any time I need, and it s so comfortable, as I am always on the move. If you don’t want to waste time on learning, use this platform for quick start. Save my name, email, and website in this browser for the next time I comment.